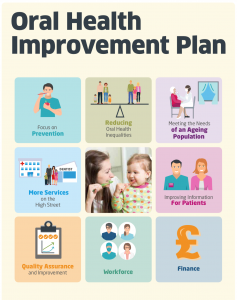 Welcome to our Scottish Government’s Oral Health Improvement Plan (OHIP) section. This area of the website will be used to provide further information about how the plan is progressing and address issues as they arise that we think will interest you. The OHIP sets out a new preventive system of care to assess patients based on risk, and addresses the link between deprivation and ill-health.